Here, in one place, are links to various articles from our site, which address discrimination, prejudice, justice, human rights, social change, multiculturalism, and inclusion. We recommend books for preschool through ninth grade covering racism, genocide, anti-Semitism, sexism, homophobia, class issues, and bullying. Now, more than ever, we need to come together, to understand each other, to respect our differences and to find common ground. Research has repeatedly shown that reading increases students' empathy, which can go a long way in reducing bullying between students. Empathy is also a central factor in increasing children's ability to work and socialize with diverse populations when they grow up. 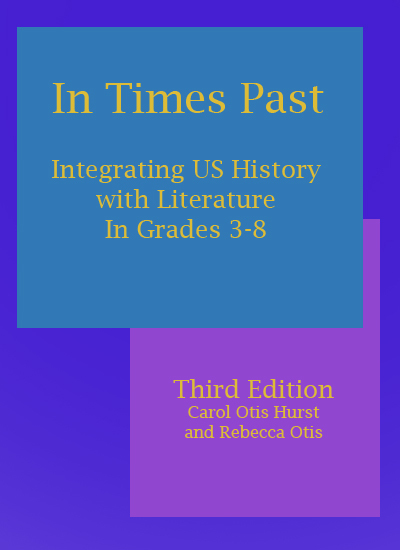 So, if reading in general increases empathy, then reading some of the books we recommend in the articles below will also increase students' ability to understand what it's like to be a member of some of these groups, now and in the past. In addition, books that feature characters similar to the reader can provide priceless mirroring and role modeling. Novels and nonfiction books can be a safe way to draw students into discussions about racism by talking about the people in the books, removed, at least at first, from talking about their own experiences. Slavery, of course, is at the root of most of the racism in the US. Our horrendous history of white people owning black people was tragic enough on its own. The aftermath has been difficult to overcome as black communities have struggled to improve their situation largely without the help of white communities. Taking the time to really understand slavery can be a first step for students trying to grapple with the causes of racism and looking for solutions. Many of the books that we recommend for Civil War units touch on slavery and racism. There are also often class issues as well. You can read about our recommended picture books, novels and nonfiction books as well as our ideas for classroom discussions and activities Here. The history of the American Indian is, like slavery, key to understanding our current situation in the US. The annihilation of much of the indigenous population (unintentional as well as the genocide), which accompanied European contact and settlement was a result of racism as well as other factors, but also has itself lead to the racism of today. Our section on Native Americans contains picture books, nonfiction and novels. There are also suggestions for classroom discussions and activities. You can read it Here. Studying The Holocaust, while required by the curriculum, also brings our exploration of discrimination and diversity to worldwide cultures. Our section on The Holocaust has a wide selection of recommended picture books, novels and nonfiction for the very young through middle school students. Find it Here. World War II studies are often rich with diversity and equality issues. There's the anti-semitism, of course, but there's also the treatment of Japanese Americans and Italian Americans as well as the changing role of women during and after the war. There are books on the role played by other minorities as well. Our sections on World War II include a page of classroom activities and a page of fiction and nonfiction books. The activities page is Here and the annotated list of recommended books is Here. Throughout history women have been forced into second class citizenship and much work still needs to be done to grant equal treatment to women and girls. It's important for girls to read books about women overcoming discrimination and expectations. It's also at least as important for boys to read about the experiences of girls and women so that they can see the need for change and respect. Bullying is at the root of so much discrimination and oppression. This is where students can see prejudice in action and where they can learn to practice respect, empathy and fairness. Empathy for characters who are transgender or who have different sexual orientations can go a long way toward decreasing the bullying that haunts so many children and teens. If you are able to use some of these books in your school, great discussions about respect, homophobia, human rights, diversity and the importance of recognizing our inner truth are all a natural fit for this topic. You can read our annotated list of recommended picture books, novels and nonfiction books Here. Many of the books in our article on Appalachia address poverty and other aspects of socioeconomic class and class issues. You can read this article Here.